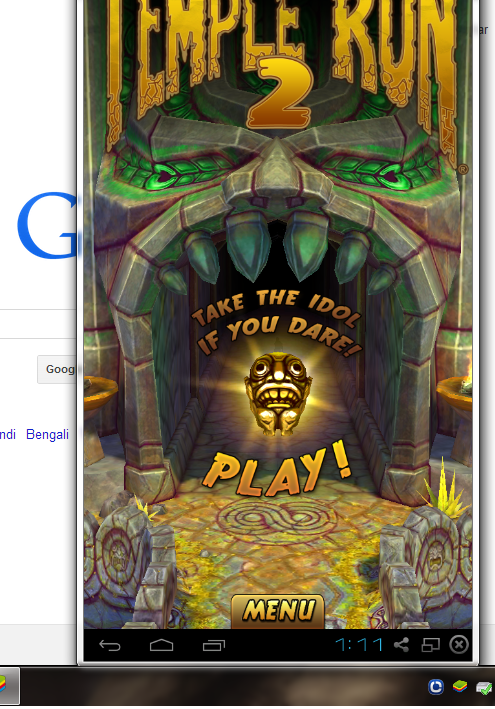 Temple run 2, the most played game on android and Iphone. And recently released for Windows phone users. If you once play Temple run you can not forget easily. If you don't have a smart phone no need to worry you can play temple run 2 on your PC ( windows XP /7 / 8 / Mac ). 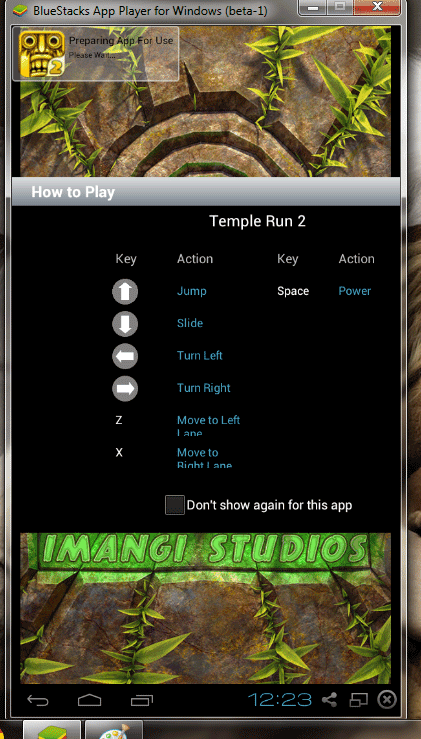 Here is a simple guide to help you playing temple run on computers.Download and play Temple Run on your Computer by following the steps below. To play temple Run on PC, All you need is, to have Bluestacks installed on you PC. It is designed to play android games on Windows PC , Mac and Windows tablets. Note : For Playing Temple Run on your system we recommend your PC must have good amount RAM and while playing no background applications must run. After completion of download, install Bluestacks on your PC. If you are getting any errors then try resolving them by updating your drivers etc. or Read : Fix Bluestacks errors. Now your PC is ready to play android games. Else Read this to know how to download .apk files from Play store directly. Now you have Bluestacks installed and downloaded temple run 2 .apk file. Double click on the downloaded apk file ( icon has Bluestacks image . The Bluestacks displays ' installing apk ' as shown below. Wait for some time and the installation completes. 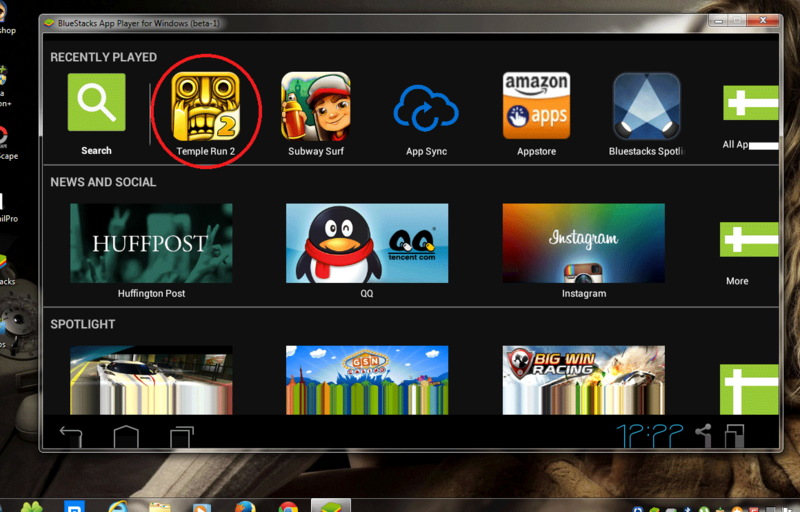 Launch the Bluestacks and you can find temple run icon in applications. Click on Temple Run Icon and it loads. You can see the controls in the below screen shot. Now play the game and enjoy. 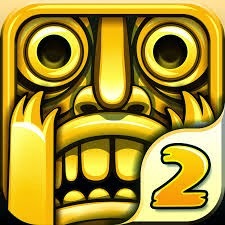 Now it is your turn to download and install temple Run 2 on PC for free and start playing the game. Can I download it on windows 8 computer? ?